Barber shop funding can help cover the costs of decor, marketing, and other necessities. The need for a friendly barber is not going anywhere. The need for a friendly barber is not going anywhere. As we suggested last week, when discussing job growth and business failure, industry plays a huge part. In fact experts lists 3 factors that determine business success. In order they say that that age, size, and industry determine success. Fortunately, overall, the chances of a small business failing in recent years is far less than it was in 1980. This may be due to the access many entrepreneurs have to both knowledge and funding. There has been a growing popularity of tutorials on websites like Youtube. Every month YouTube registers more than 700 million views of beauty-related content. As a result, many consumers have resorted to do it yourself (DIY) projects for, not only, beauty and grooming strategies, but for a variety of other things. Barber shop funding can help with promoting your business online. Using some of the millions of dollars in private investor funding barber shop business owners can solidify their presence on media. From promoting pages on Instagram to demonstrating tutorials on Youtube, barber shop funding can help. At Silver Rock Funding, we work with hundreds of business owners a month. When we hear from those seeking barber shop funding, we give them the same individualized care we give every entrepreneur. 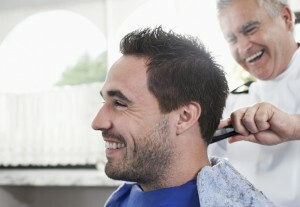 Barber shop funding can help with fulfilling a variety of your businesses’ needs. Our customized funding opportunities offer up to $500,000 in private investor capital. You can have your barber shop funding deposited directly into your account within 72 hours. Get started on your path to financial success. Next Post: How Do Merchant Cash Advances Work?